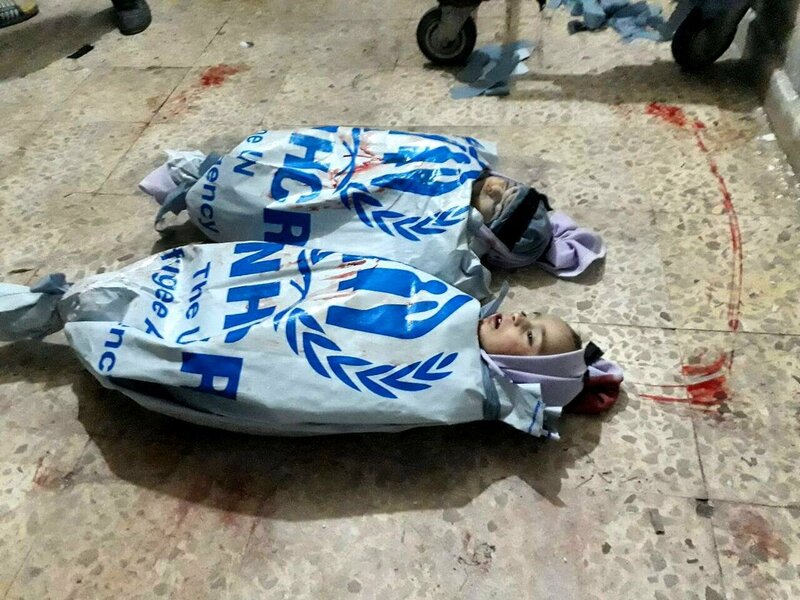 Dead children in shrouds made of UNHCR plastic sheeting, Eastern Ghouta 4 March 2018. Via Akram Abo Alfoz. Hundreds of MPs made a dreadful error in August 2013 when they blocked action to respond to Assad’s mass murder of innocents. Today we don’t need guilt or shame from those MPs. We need honesty, intelligence, bravery, and determination to act NOW. What has changed since 2013? Numbers killed and injured rose by hundreds of thousands. Numbers of refugees rose by millions. And since that vote in 2013, the Security Council has passed a series of resolutions that have all been flouted. Resolution 2118 demanding the destruction of chemical weapons, passed in September 2013 has been repeatedly broken, most notoriously by the April 2016 attack on Khan Sheikhoun. Resolution 2139 demanding an end to barrel bombs and sieges has been broken every single day since it was passed in February 2014. Further resolutions have been passed and ignored, resolutions repeating demands to protect civilians, to grant humanitarian access, to release detainees from Assad’s torture prisons. Now UN Security Council Resolution 2401 demanding a 30 day cessation of hostilities across all of Syria has been met with utmost violence and contempt by the Assad regime and its allies, including by Putin’s government. that all parties take all appropriate steps to protect civilians. It has been argued that since the invasion of Iraq, the UK has turned against military intervention. But the UK has been militarily engaged in Syria since 2015. What the UK has not yet done in Syria is protect civilians. The UK Government has a duty to act, to defend international law and enforce the declared will of the UN Security Council, and to take all appropriate steps to protect civilians by acting to end the slaughter. We now need Parliament to a rm that the UK Government has a mandate to uphold UN Security Council Resolution 2139 and subsequent resolutions and to enforce the declared will of the UN Security Council in Syria. 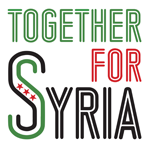 We need Parliament to affirm that actively protecting civilians must be the primary goal of UK forces engaged in Syria. If we don’t act now, the Syrian war will end with the United Nations itself in the grave.